Authentic red and white lighthouse with cascading water and rotating light becon(Including 1 x AAA 1.2V Ni-MH Battery). 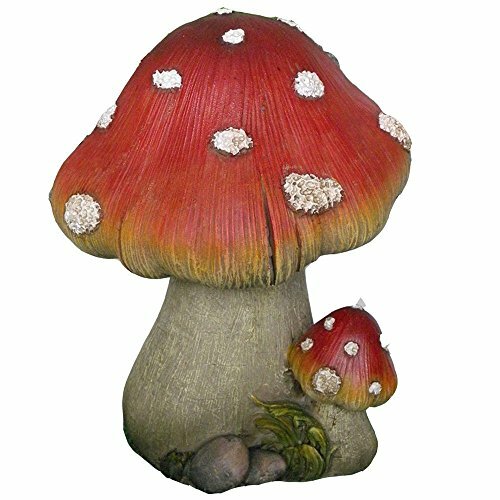 For outdoor use;Hand painted finish;Poly resin material. 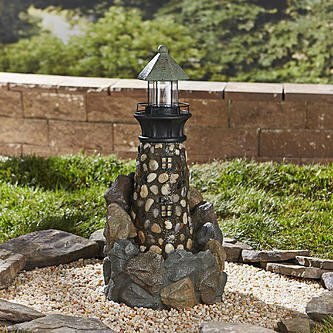 Rotating light beacon, cascading water.